The 10th IATA World Cargo Symposium (WCS) which starts today in Berlin promises to offer attendees a variety of interesting workshops and presentations as well as numerous networking possibilities. The event which will run until March 18th is being held at the Berlin Intercontinental hotel. More than 40 industry related companies will also be exhibiting their products on the extensive exhibition area reserved for them. 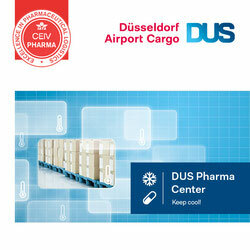 The main theme is “The Value of Air Cargo“ and the topics of discussion are numerous and range from Changing Mindsets in the Supply Chain to Sustaining our Value in the Future, Pharmaceutical Management, Leading Change in Air Cargo Management and more. What we feel will be especially of interest is the presentation being held on Thursday 17th March , called “The Success Stories of Air Cargo Infrastructure Projects.” It starts early at 08:00 but we feel it is worth a look in as those who register also get breakfast at that early hour. Four companies, Becon Projects, Heuking Kühn Lüer Wojtek, M2P Consulting and Michael Schmitt, Program Director of DHL’s Leipzig Hub will give their inside views on how to plan and manage successful air cargo infrastructures. Is there a fourth contender for Hahn Airport? It’s almost time that the successful bidder for the takeover of Hahn Airport be announced. The decision was being held back until the Rhineland-Palatinate local election took place yesterday. All were convinced that one of the three main contenders, all of which are said to be Chinese companies, were still in the running. News released at the end of last week in the “Allgemeine Zeitung“ a newspaper located in Mainz, says that there is a possible fourth serious candidate in the running. The report states that this could be a large Kuwait-based Investment Fund Corporation. If this is the case, then the local politicians are keeping it quiet until after the elections. 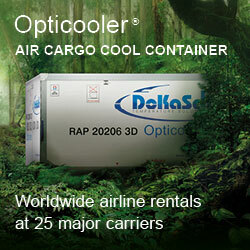 The airport is fighting to keep its head above water and desperately needs new clients, especially air cargo operators. The TIACA Board in Miami is keeping itself busy these days coming up with ideas and programs as how to best to coordinate the air cargo supply chain. They announced at the beginning of last week that a new Shippers Advisory Committee will be set up. 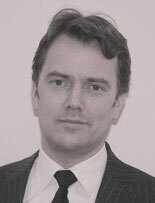 TIACA has chosen Lars Droog, Head of Tosoh’s EMEA Supply Chain, to chair the new committee. The aim is to integrate the findings of this new group among other committees in order to make improvements especially with the interests of the shippers in mind. The Charleston, South Carolina based manufacturer of composite cargo containers for the air transport industry, recently announced that they would, despite increasing costs, keep their repair pricing level throughout this year. 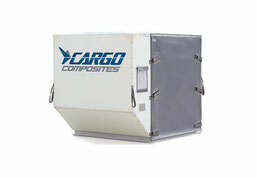 This according to Cargo Composites means that they can reduce costs on specific spare parts for their range of containers by selling what they term as durable units with low repair frequencies. American President, Barack Obama, signed the Trade Facilitation and Trade Enforcement Act on February 24th. The new legislation also allows the increase of the U.S. De Minimis threshold from $200 to $800. The increase took effect as from 10 March and means that shipments valued up to $800 are exempt from duties and taxes. There are however a few exceptions under limited circumstances for this ruling. The U.S. Customs and Border Protection (CBP) will publish this new legislation in their Federal Register as a formal announcement of the change in rules.